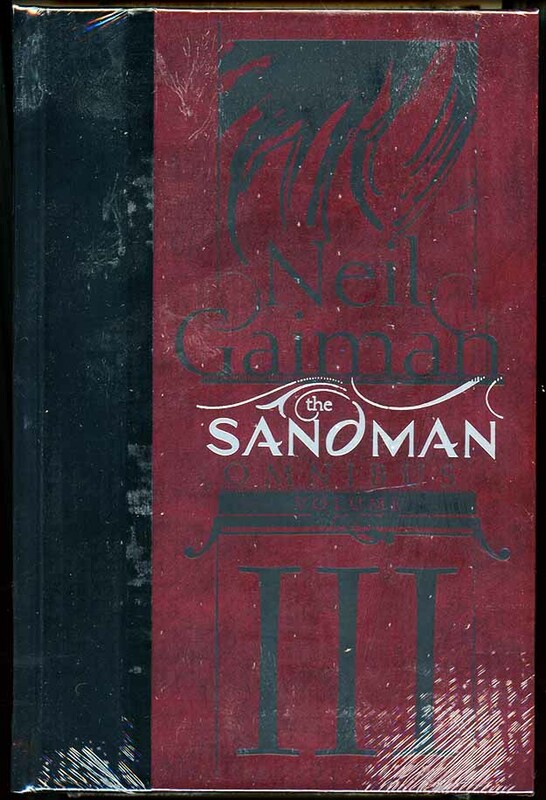 Yet another print version of Neil Gaiman’s SANDMAN, this time in three large “Omnibus” editions. I haven’t seen the first two, but received copies of the third one recently. Measuring 7.5 by 11 by 2.5 inches and weighing six and a half pounds, it includes the two DEATH mini-series, SANDMAN MIDNIGHT THEATRE, SANDMAN: ENDLESS NIGHTS, both versions of SANDMAN: THE DREAM HUNTERS, SANDMAN: OVERTURE, and the three all-art GALLERY books. Cover price is $150.00. 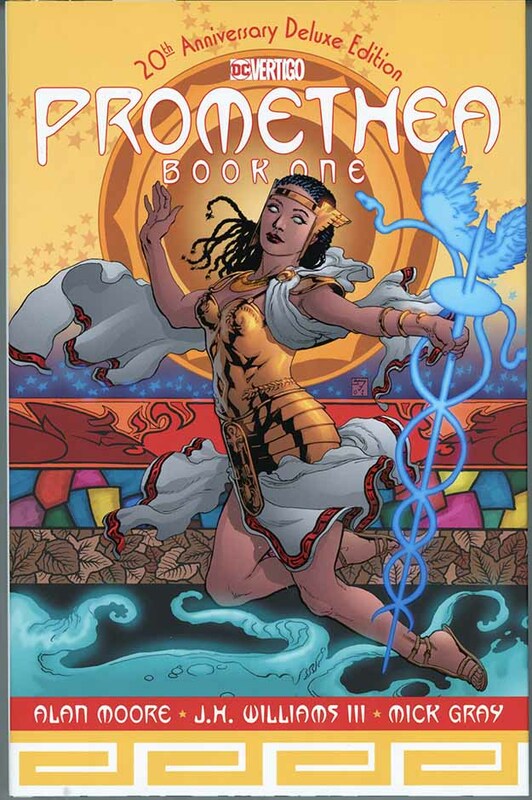 I haven’t opened the shrink-wrap, but I expect the art size and paper quality will match the PROMETHEA Deluxe Edition I looked at recently, so not as large and high quality as the Absolute Editions, but better than the regular hardcovers. Release date is March 27th. If you want a three-volume set of Sandman, this is for you. I think the only possible remaining version is a one-volume edition, which would probably be too heavy for me to lift! This entry was posted in Incoming on March 14, 2019 by Todd. Just arrived is this thick, heavy collection of Volumes 1 and 2 of LOEG plus THE BLACK DOSSIER. There’s no page count, but approximately 600 pages I think. It’s the Deluxe size, so about 10% larger art than the regular hardcover and trade paperbacks. The paper quality is quite good, the binding is glued rather than sewn. Without looking at every page, I think it’s complete with a few minor changes on credits/indicia pages. 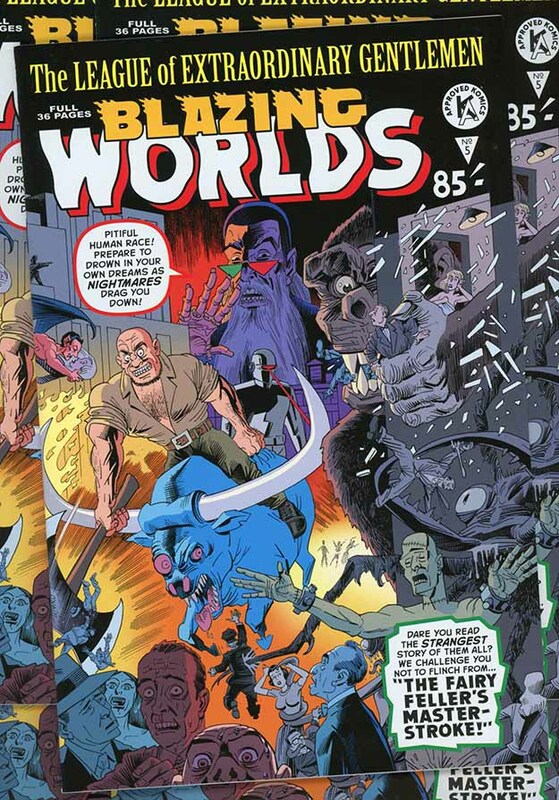 The bound-in 3-D glasses are not as good as the ones in the original versions of BLACK DOSSIER (also in issue 3 of the current series LOEG: THE TEMPEST), but they will probably work well enough. The cover starts with my cover design for the Absolute Edition but puts the title at the top instead of the bottom, covering some of the art. Looks okay, I like my design better. 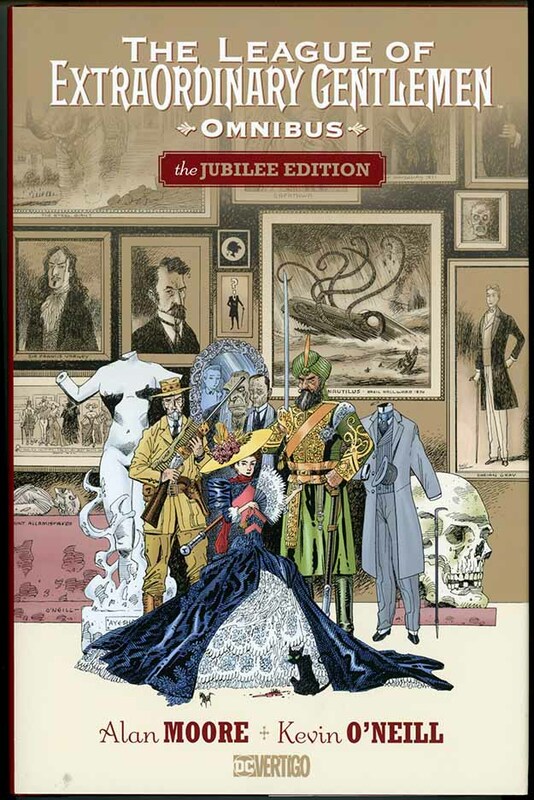 Of course the Absolute Editions of these three collections are the best, much larger page size, sewn binding, and on volumes 1 and 2 a second book of Alan Moore scripts. Buying those now, if you could, would cost hundreds of dollars. This one is quite a good deal at $75, I think. 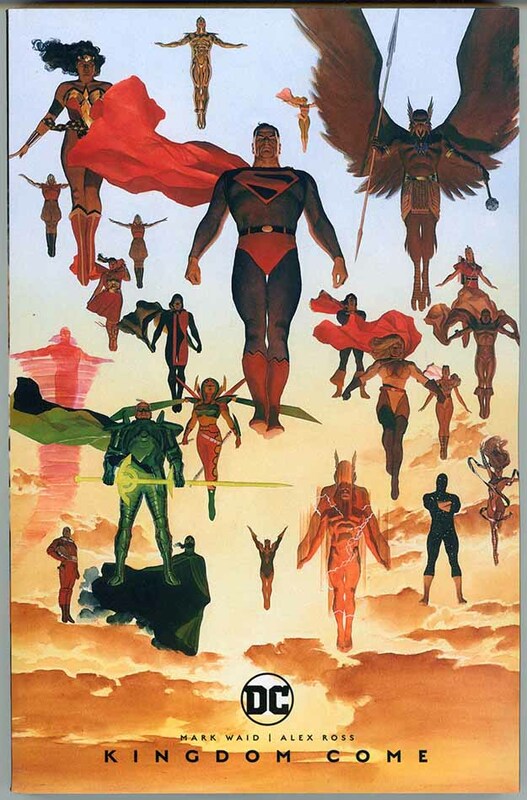 I’m all for keeping the material in print, and DC has done a good job with this book. I’m currently working on the last issue of THE TEMPEST, the last LOEG issue ever, and of course that will eventually be collected as Volume 4. Volume 3, CENTURY, has been out for some time, and then there are the three NEMO hardcovers as well. It’s been a long road, and a great one. I’ve just lettered a very satisfying resolution to a storyline that began in BLACK DOSSIER, the first series I lettered (most of). I will be sad to see it end, and have enjoyed every moment of working on the League. Not sure when this is out in shops, but I’d put an order in now if you want it. Amazon has it available on April 9th. This entry was posted in Incoming on March 5, 2019 by Todd.